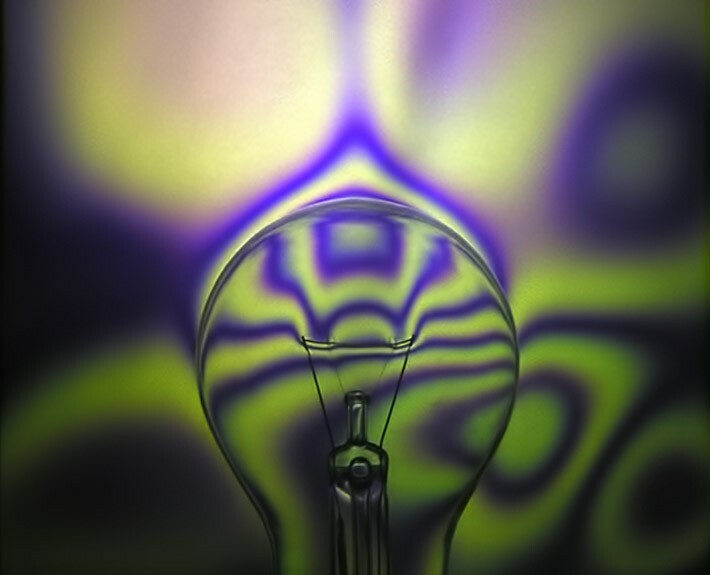 This hologram shows temperature variations generated from a heat source, in this case a light bulb filament. Only holography can show this effect, normally invisible to the naked eye, by capturing microscopic differences in the density of air. An example of Holographic Interferometry.